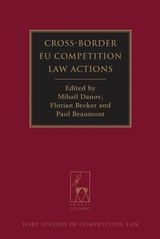 This book, written within the framework of a research project funded by the European Commission Civil Justice Programme, identifies the ways in which cross-border EU competition law actions can best be handled in Europe. 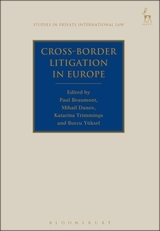 Employing traditional library-based legal research methods as well as qualitative interviews with legal practitioners in Germany and England (countries sharing different legal traditions) and policy-makers in Brussels, the book considers how private EU competition law actions are functioning at the moment and how they could and should be developed. 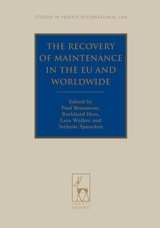 The study proposes solutions for some of the most pressing practical problems, and includes chapters by the following academics, legal practitioners and judges: Judge I Pelikánová (General Court of the EU); J Lawrence and A Morfey (Freshfields); P Lasok QC (Monckton Chambers); H Mercer QC (Essex Court Chambers); J Webber (Shearman & Sterling); T Reher (CMS Hasche Sigle, Germany); P Bos and J Möhlmann (BarentsKrans, the Netherlands); P Beaumont (Aberdeen); S Bariatti (Milan); G Howells (Manchester); D Fairgrieve (BIICL); J Fitchen (Aberdeen); A Andreangeli (Edinburgh); D Tzakas (Athens Bar, Greece); S Dnes (Sidley Austin, Brussels); F Becker and J Kammin (Kiel University, Germany); and M Danov (Brunel University). Part II Cross-Border EU Competition Law Actions and the European Courts: Is there a Need for Reform at EU Level? 6 Introduction: Centralisation (Harmonisation) or Decentralisation (Inter-Jurisdictional Regulatory Competition)? 8 Private Antitrust Claims as a 'Special Case': Can the General Court be Envisaged as the Appellate Court vis-à-vis Decisions of National Courts? “This collective volume provides an excellent contribution to this literature. This is not your common edited volume, which most often constitutes the publication of some conference proceedings. It is the result of a research project undertaken by the editors with the involvement of academics and legal practitioners. This short review notice cannot of course do justice to an extremely rich collection of essays, both in terms of the information provided and new ideas explored. 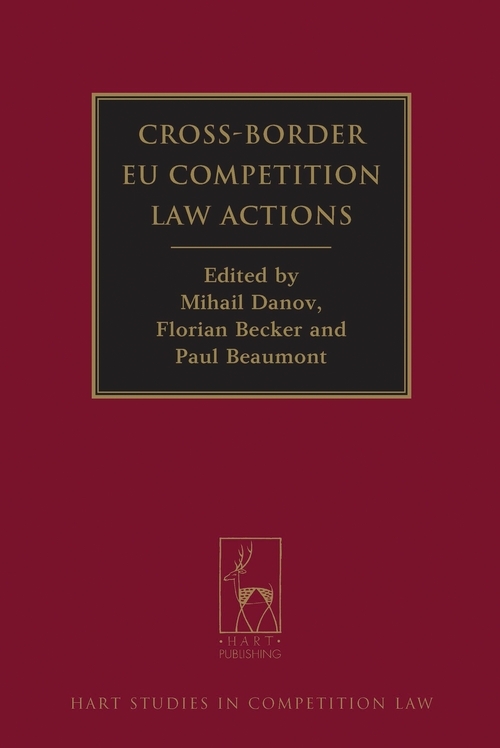 ...the volume covers all the important aspects of cross-border EU competition law actions and could be of use for both the academic and the practitioner crowds. Mihail Danov is Associate Professor at the University of Exeter. Florian Becker is Professor in Law at Kiel University. Paul Beaumont is Professor of EU and Private International Law at the University of Aberdeen.